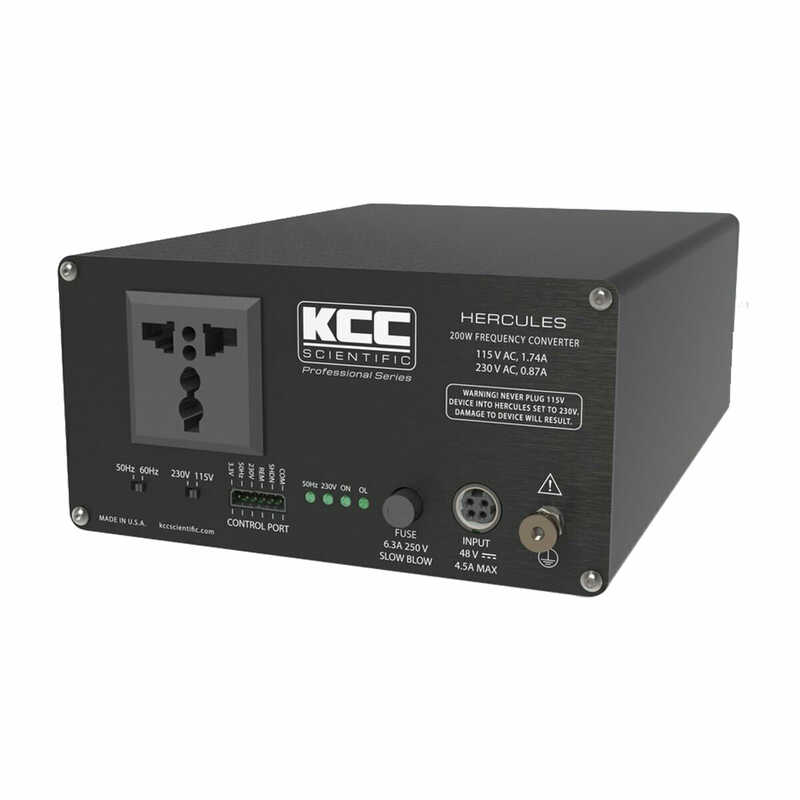 Since the inception of KCC Scientific’s product line, we have solved many customer problems that could not be solved any other way. See how we solve difficult customer problems. Our Voltage & Frequency Converters will cleanly and accurately power any device up to 200 watts. KCC Scientific products can connect you to your comforts anywhere in the world! No other products in the world provide affordable, precise voltage AND frequency conversion, with a clean sine wave output. Our philosophy is to assure that our customers have a rugged and reliable power line converter for their 50Hz products in 60Hz countries, or for their 60Hz products in 50Hz countries. All of our voltage and frequency converters are ultra-high precision, good enough to accurately power timing devices! 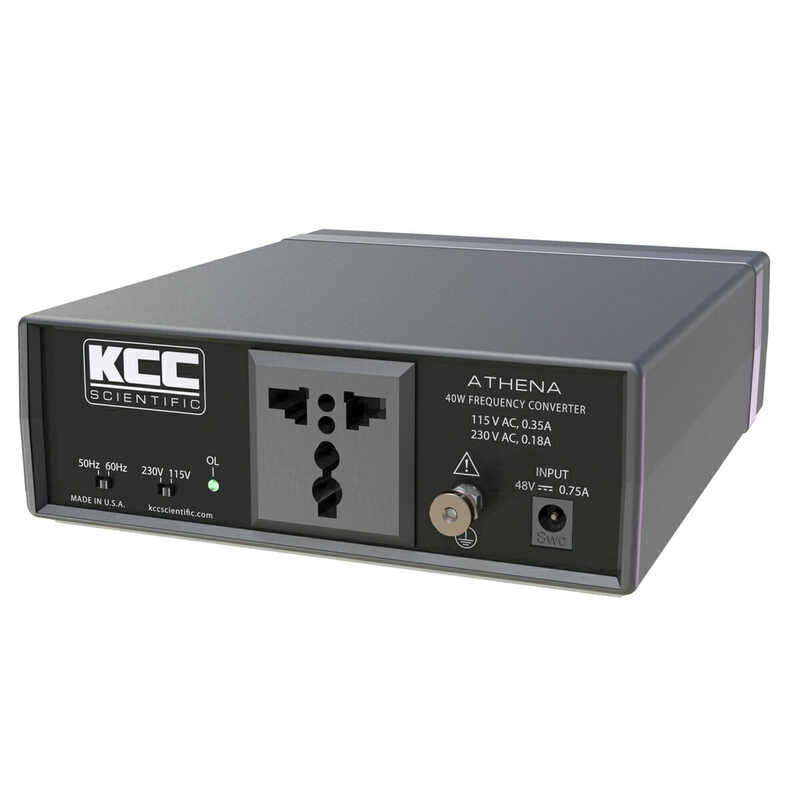 Our frequency converters also provide the voltage conversion you need. They are an excellent alternative to large, noisy transformers. All of our Voltage & Frequency converters include a compatible, universal, certified wall adapter to power the converter. You will have everything you need! 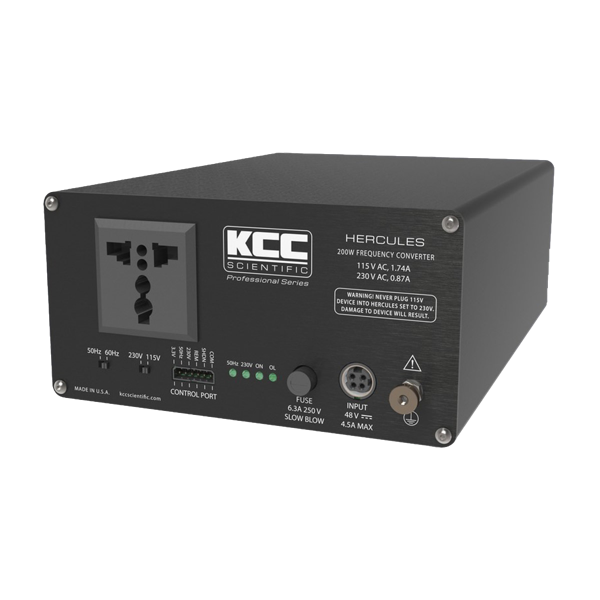 All KCC Scientific products are offered with a 2-year warranty. All of our products are powered by high-quality toroidal transformers, designed to be safe and silent. Driven by a digitally synthesized sine wave and delivered through a novel Class D power amplifier, all of our products provide clean sine wave output to assure that your device operates as it should. These products are designed for full time duty. They do not overheat and do not require any noisy fans for cooling. Because the mains power line is completely reconstructed, our products will always deliver clean power regardless of whether the incoming mains power is distorted or noisy.